Are You at a Moment? This is for those of you who are at a “moment.” It’s almost a crossroads; you know this moment is significant. You know that in this moment, God has put you in a position to act. You know what God wants you to do, but your intellect is almost telling you to do something else. I just want to encourage you that there have been instances where I know that God has brought me to a particular place at a particular time to do a very particular thing. What we don’t want to do is doubt. We don’t want to fall by our fear. We don’t want to not trust God. What we need to do is step into that moment in faith, knowing the reality of what could happen could be bad, but supernaturally it could change peoples’ lives! Rahab had a moment where she could have chosen to self-preserve and self-protect. She was faced with a moment, and she stepped forward in faith! Gideon had a moment where the Lord came to him and said, “I want to use you to fight the Midianites!” Gideon could have said, “No,” but he stepped into the moment in faith. God defeated the Midianites with 300 men. Are you facing a moment? I want to be your cheerleader here; I know what it feels like, because I am living a moment. You do what God says! You forge forward in faith even though you don’t know how it’s going to turn out! Seize that moment! Speak up; use your voice for Kingdom impact! Don’t let that fear seize you. You let God do what He is good at. He is good at being God! You put your full trust in Him! You will see what He will do! Own your moment. Step into your moment. I love you guys and hope this encourages you today! 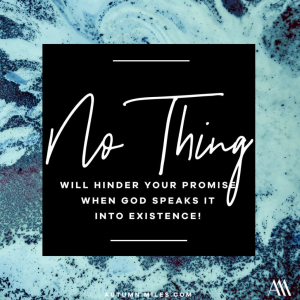 “What do you do when God’s timing seems questionable, His lack of intervention hurtful, and His promises doubtful?” Our special guest, Lysa TerKeurst, has discovered that our hurts can divinely lead us to radically experience our God. 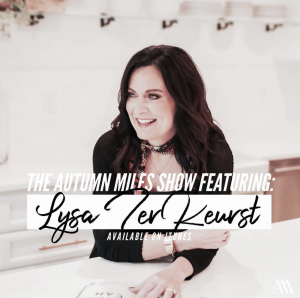 Lysa shares her heart and story behind her latest book, “It’s Not Supposed To Be This Way.” Click the link to listen as we dive deep into the Word of God and discuss what we do when we find ourselves saying, “It’s not supposed to be this way.” Thank you for choosing to listen to the Autumn Miles’ Ministries’ podcast; whether you’re in the pick-up line, on the way to a vacation, or at your desk in the office, we are honored to share the love of Christ with you! If you’ve been touched by this ministry and its podcast, let us know! We would love for you to write a review and tell us how the Lord has moved in your life! 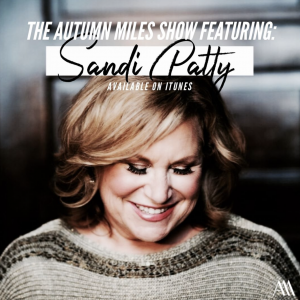 We were also ecstatic to host the incredible Sandi Patty this month on our radio show! Sandi just released her book The Voice: Listening for God’s Voice and Finding Your Own in September of 2018. This culturally-relevant book describes how we are able to speak up and speak out, dealing with conflict graciously and dealing with finding your own voice. 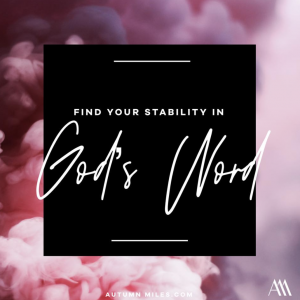 Sandi desires to walk readers through feeling like they don’t have a voice, having an awkward voice, remaining silent, and confidently finding God’s voice. With a past filled with feelings of unworthiness, Sandi beautifully captures how amazing things happen when you put the Truth of God in you; the lies that have been spoken over you must flee. She reminds us to pray that God goes before you and guides you in what you’re supposed to say and when. Listen to this podcast and be encouraged! We love you, New Beginning Full Gospel Church! We absolutely loved our time in Piedmont, South Carolina! Thank you so much for hosting us and being so eager to hear a Word from the Lord! God’s redemptive, gracious, and loving power was so evident throughout the evening. Our prayer is that you will hear God’s voice clearer than ever before and follow His leading with your entire being. 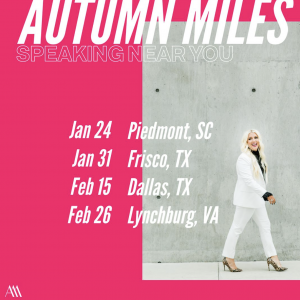 We are also so excited to be speaking at Liberty University’s Women’s Leadership program and the Bad Christian Conference in February; we are praying for these gatherings and are expectant of greatness and glory! 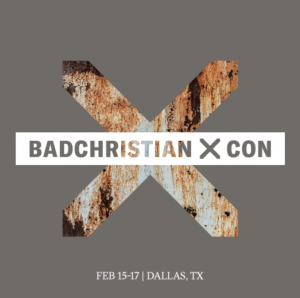 Click HERE to learn more about the Bad Christian Conference! If you are interested in hosting a conference for your church or small group, click HERE to email us for more information! 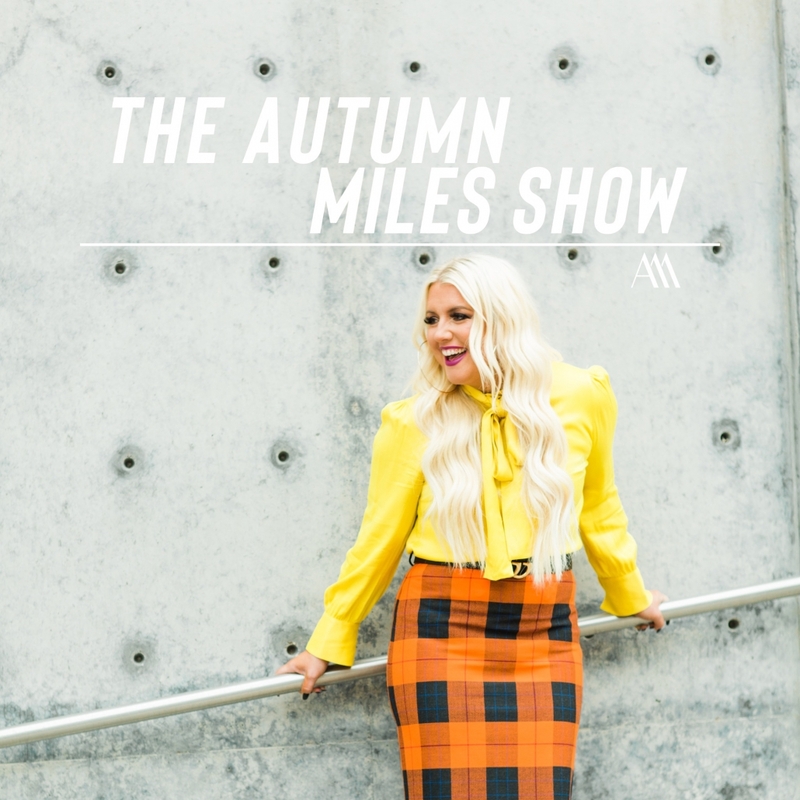 Autumn Miles’ Ministries has impacted millions of people worldwide and to continue serving those who need to hear her message of victory and promise, we need your support. As a 501c(3) non-profit organization, we are supporter-funded! Your donations help us to share BOLD TRUTH AND RAW FAITH. Click on the links to follow us on Instagram, Facebook, and YouTube!